Seven Big Ten volleyball teams were selected to the 2018 NCAA Volleyball Tournament, with first and second round matches held Nov. 29 – Dec. 1. The seven bids mark the 26th consecutive season that at least six Big Ten volleyball teams have been selected for the tournament. Five of the top eight seeds are Big Ten programs. Big Ten Champion Minnesota enters the tournament as the No. 2 overall seed. Illinois earned the No. 3 seed, Wisconsin was chosen the No. 6 seed, Nebraska earned the seventh seed, while Penn State is the eighth seed. 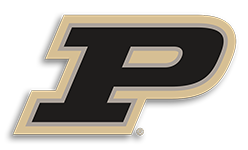 Michigan and Purdue received at-large bids to the tournament. Penn State, Minnesota, Nebraska, Wisconsin and Illinois will host first and second round contests. After winning its third Big Ten title and its first since 2015, Minnesota takes on Bryant on Friday at 8:00 p.m. ET in the first round. With a win, the Gophers would face the winner of the South Carolina-Colorado match. Minnesota is making its 23rd NCAA Tournament appearance. The third-seeded Illini make their 25th trip to the NCAA Tournament and will host Eastern Michigan at 8 p.m. ET on Friday. If Illinois advances it would meet Louisville or Dayton in the second round. Sixth-seeded Wisconsin will entertain Green Bay at 8:30 p.m. ET on Thursday. With a first-round win, the Badgers would face UNI or Pepperdine in the second round of the tournament. Wisconsin is making its 22nd appearance in the tournament. Nebraska enters its 37th NCAA Tournament and will face Hofstra on Friday at 8 p.m. ET. The winner of the match will advance to take on Arizona or Missouri. Penn State, which has been to all 38 NCAA Volleyball Tournaments, will take on Howard in the first round on Friday at 7:30 p.m. ET. If Penn State advances it would face the winner of the Syracuse vs. Yale match. Michigan received a bid to the NCAA Tournament for the 18th time and will face Navy in the opening round on Friday at 4 p.m. ET at the University of Pittsburgh. If Michigan wins, the Wolverines would face either Iona or Pittsburgh in the second round. 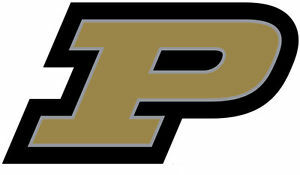 Purdue enters its 20th NCAA Tournament and will play ETSU on Friday at 5 p.m. ET in the first round in Lexington, Ky. With a win, the Boilermakers would face the winner of the Kentucky-Murray State match. First and second round matches will take place on campus sites on Thursday, Friday and Saturday, while the regional round will be played at one of four sites on Dec. 7 and 8. Regional winners will advance to Minneapolis, to compete in the national semifinals on Dec. 13, with the national championship match set for Dec. 15.